We are closing this issue in mid-January so that we make it available to our readers during ICE 2015 when we will be distributing four (4) current editions of gaming industry titles in a single show, with January and February 2015 editions of Casino International, Casino International Americano Jan/Feb edition and Euroslot – our Leisure industry title. We are sure to be the only publishing house in B2B of Gaming that provides this service for the benefit of our readers and the industry in general. Latin America is hot right now, with anticipated gaming legislation changes in Mexico and Chile and exciting new developments, such as in Honduras, published below, added to new projects elsewhere. In fact, this 2015 will be magnificent and everything begins with the London Show on Tuesday February 03. See you there! With a significant majority, early in January Mexico’s House of Representatives approved the new Federal Gaming Law to reform the industry in Mexico. The document, which was passed with 229 votes in favour, 63 against and 9 abstentions, has now been sent to the Senate for analysis and approval. This is the beginning of the end of the 1947 Law, which regulates gaming in the country. The new law establishes the creation of the National Gaming Institute as the new regulatory authority. In addition to regulatory, inspecting, auditing and sanctioning powers attributed to the NGI, the Law eliminates the elements of discretion which were created by a presidential decree to regulate gaming in 2004 for the almost irrelevant 1947 Law. It is aimed to replace the questioned Gaming DG operating under the tutelage of the Ministry of the Interior, which created the problematic 2004 Regulations. The NGI shall be the authority responsible for determining the suitability of persons to be granted a gaming permit according to the new Law. It also will be responsible for verifying that licensed gaming activities are carried out in accordance with new regulations, and apply sanctions when transgressions of the Law occur. Another major aspect of the new law is the elimination of multiple gaming permits, as set out in the 2004 Regulations, and the obligation of the current permit holders to renew licenses, one for each establishment. Also, a principal provision by the State is to set out the requirements and limitations to operate live games such as table games with cards, dice and roulette under certain standards that provide security for the public. After several years of debates in Chile, the Mayors of seven Municipal Casinos are on the eve of celebrating a major proposal in a Bill to amend the Law on casino concessions in the cities of Arica, Iquique, Coquimbo, Viña del Mar, Pucon, Puerto Varas and Puerto Natales. Even though parliamentary sources in Santiago, the capital of the country, had anticipated the Bill to be published in the second week of January, at the close of this Edition the local Executive had not made a positive declaration. The most significant point in the Bill is the extension of the municipal casino licenses for two years, until the end of 2017. According to the current Casino Law, all municipal Casino licenses end on 31 December 2015. The additional term would serve to prepare tender rules for the new bidding process. In the course of the two additional years, the municipalities will aim to maintain the current tax formula, which contributes to their budget percentages higher than 10%, which is the current provision attributed by Law. The municipalities’ objective has been set out in the current proposal aiming to obtain higher gaming tax percentages for the existing concessions, such as Viña del Mar, where the casino operated by Enjoy, contributes the equivalent to 50% of the municipal budget. The Ministry of Economy and Finance (MEF) published a study by the Junta de Control de Juegos (JCJ), the Gaming regulator of the industry in Panama, showing that casino slot machines generated a higher revenue during 2014. Slot machines, categorized as type “A”, reported US$43.2 million; land based casinos US$25.9 million and type “C” slots US$11.7 million. In 2014 Panama’s gaming income reached US$96 million, representing an increase of 20% compared to 2013. Towards the end of December, Bolivia’s Autoridad de Fiscalización y Control Social del Juego (AJ) declared in a Public Meeting the 2014 Accounts Reports in La Paz, the country’s capital city. Mario Cazón, AJ Executive Director, highlighted the achievements of regulators’ gaming management achievements for the year, especially obtaining certificates of Management Quality from several international institutes on standard ISO 9011-2008. On the other hand, Cazón also reported the destruction of 1,312 slot machines in the cities of Santa Cruz and La Paz; emphasizing that in the first half of 2015 the AJ also will destroy around 10,000 illegal gaming machines. The regulator said that until December 15, the Gaming Authority has intervened in 225 illegal gaming businesses, seizing a total of 1,811 slot machines and closing down 144 illegal casinos in Santa Cruz, 74 in Cochabamba, as well as 10 illegal casinos in La Paz. Elite Data Services reports it has added recently the hospitality and gaming industry to the verticals in which it plans to establish a footprint after acquiring the only casino and gaming licence on the beautiful island of Roatán, a Honduran island in the Caribbean. Roatán and its pristine white sand beaches, turquoise waters, and coral reefs make the largest of the Honduras Bay islands a growing tourism destination and an ideal target for growth. The island welcomes more than one million visitors every year by way of air travel and cruise ships. In a statement, the company’s new CEO Charles Rimlinger said that the contract was for licensing rights for a 25-year term with projected tax revenue associated with the licence around US$2.45 million per year, payable from estimated yearly gross gaming revenue at US$15.5 million. 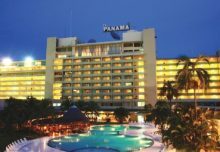 Since entering into a contract to acquire the licence, Elite Data Services announced to its shareholders that it is in negotiations with 3 separate resort properties on Roatán, with a view to acquire a resort property in order to establish a physical casino where it could implement the casino/gaming licence. 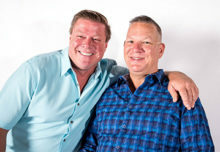 Elite Data Services says it will not have to pay any annual renewal fees, and when the licence expires at the end of the negotiated 25-year term of the company’s ownership rights, the casino licence is renewable. With this licence the company will likely be able to draw upon additional revenue sources as well as it does allow for a sportsbook, online gaming, bingo and a lottery.